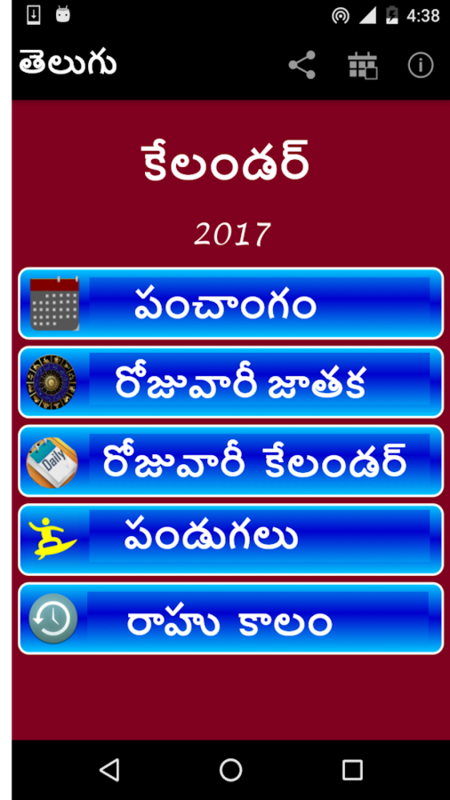 This app contains Hindu Panchangam Calendar for The year 2019 withTithi, Vara, Nakshatra, Yoga, and Karana. It also shows times toavoid (Rahukalam, Varjyam, Durmuhurtam, Yamagata etc) andauspicious times (Amritakalam, Abhijit muhurtam etc). Features: *2019 Full Year Calendar with Festivals and Rashiphalalu. *Panchangam Daily Sheets with complete details. 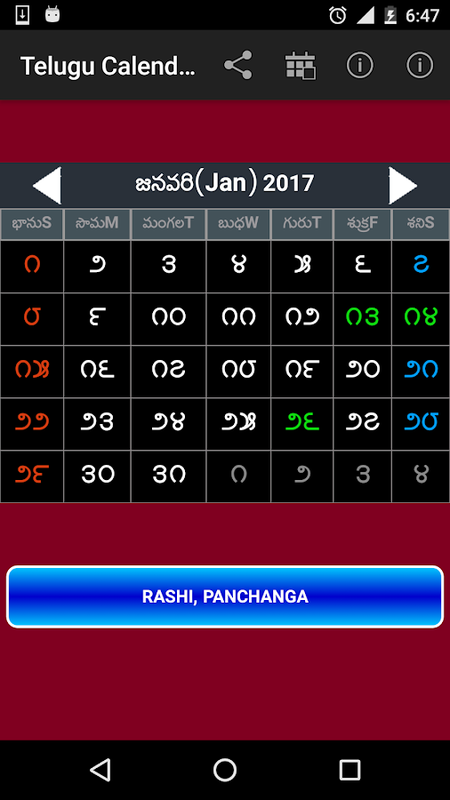 * A Calendar View toquickly jump to any date for full panchangam details for Years2019. * Yearly Festival Calendar displayed by month for 2019. *Rashiphalalu for all 12 Sun Signs for the full year. Hindi calendar 2019 and 2018 app has high quality monthly imagesthat allows you to view maasam, vaaram, thithi, and nakshatraminformation for all days in the year 2019 and 2018 in Hindi. AstorSage Kundli is No.1 Kundli Software (Kundali, Birth Chart, orVedic Horoscope) based on Indian Astrology aka Vedic Astrology,Hindu Astrology or Jyotish in Android Market. Get Kundli, HoroscopeMatching, Astrology, Horoscope, Rashifal, Hindu Calendar (Panchang)& much more absolutely FREE. Features * Vedic Astrology -Traditional Features * Predictions/ Personalized Horoscope- LifePredictions, Monthly & Annual Predictions, Daily Predictions,Mangal Dosh / Kuja Dosham, Shani Sade Sati, Kaal Sarp Dosha, LalKitab Remedies, Debts, Planetary Predictions etc. * Download PDF toPrint Kundli * Moon sign horoscopes - daily horoscope, weeklyhoroscope, weekly love horoscope, monthly horoscope and yearlyhoroscope * KP System / Krishnamurti Paddhati with Significators,Ruling Planets, KP Ayanamsa, Nakshatra Nadi Coordinates and Sub-SubPositions etc. * Stellar: KP, Cuspal Interlinks (Sub &Sub-Sub), 4-Step * Shodashvarga - All 16 divisional charts *Shadbala, Ashtakvarga & Prastarashtakvarga, Western aspects,Bhava Chalit chart * Vimshottari Dasha / Udu Dasha upto fivelevels, and Yogini Dasha * Panchang: Daily Panchang & Muhurat,Hora, Rahu Kaal, Choghadiya, Hindu Calendar with Festivals, DoGhati Muhurat (Abhijit Muhurat, Vijay Muhurta etc.) * HoroscopeMatching: Kundali Matching (Ashtakoota Guna Milap or 36 PointsMatch) * Horoscope 2019 & Calendar 2019 * Daily rashifal,monthly rashiphal, rashifal 2019, daily rasi palan and rasipalangal 2019 * Learn astrology - text and video tutorials andastrology lessons * Large city atlas with thousands of cities, andGoogle Maps Support for finding city latitude and longitude * GPSsupport for Prashna Kundli (Horary Charts) and Time Charts * Storethousands of horoscopes that can be viewed at anytime, anywhere. *North and South Indian chart style * Automatic DST correction *Choice of Lahiri (Chitrapaksha), Raman, KP, and Sayan ayanamsa. *HINDI, English, Tamil, Telugu, Marathi, Gujarati, Kannada,Malayalam & Bengali languages * Support for AstroSage Cloud sothat chart saved on Mobile can be opened from AstroSage.com andvice versa * Double touch to show planet degrees on the chart(shows degree inside chart in case of tablets) * Chart rotation:click on a house in north Indian chart and it will show new chartwith that house as ascendant * Tajik Varshfal (Solar Return withMuntha) * Jaimini Astrology: Char Dasha, Karakamsha & Swamsha *Lal Kitab: chart, varshfal, prediction for planet in each house,remedies, kundli type like dharmi teva, andha teva, ratandh tevaetc. and much more. * Colored chart * User friendly UI withflipping screens * Option for exporting chart, emailing chart orsending it via Bluetooth. Saved chart can be printed later. * Moonsign calculator, sun sign calculator, love compatibility calculatorand more This astrology software is especially designed keepingmobility and instant calculations in mind. For example you canimmediately know the Ruling Planet of any time, cast Horaryhoroscope while on move etc. There is no need to carry Ephemeris,Panchang, Tables of Houses, Tables of Ascendants, and Tables ofHorary Numbers etc. No app has so many Indian astrology, Vedicastrology and Hindu astrology features like AstroSage Kundli. Tamilpeople will find jathaka, jadhagam, jathakam, rasi palan andjathagam here. Similarly, Telugu language readers will find teluguastrology, rasi phalalu and telugu jathakam here. Note: AstroSageKundli App requires active Internet connection. Sanatan Panchang 2019 (Kannada Calendar) A complete Hindu CalendarWe are now entering the 7th year. With our commitment to reach outthis useful and helpful information to all, we have launched thisapp for Android and kept it FREE for all. In addition, thisCalendar also has the following features which are unique 1. Alldetails of tithis (Indian Calendar system. Both Amavasyant andPournimant panchang systems have been incorporated) 2. Images ofDeities - High resolution images of Hindu Gods and Goddesses foreach month. 3. Compiled short notes and articles on Hinduism(Sanatan Dharma) 4. Free articles for the patriotic Indian in you5. Indian state-wise annual public holidays 6. Information for theSpiritually curious people… and much more ! Like an article or datefrom the Kannada panchang ? Now you can also share this informationwith your family and friends on Facebook, WhatsApp, Twitter, Emailetc. ! Would you rather have the Sanatan Calendar in your ownlanguage ? 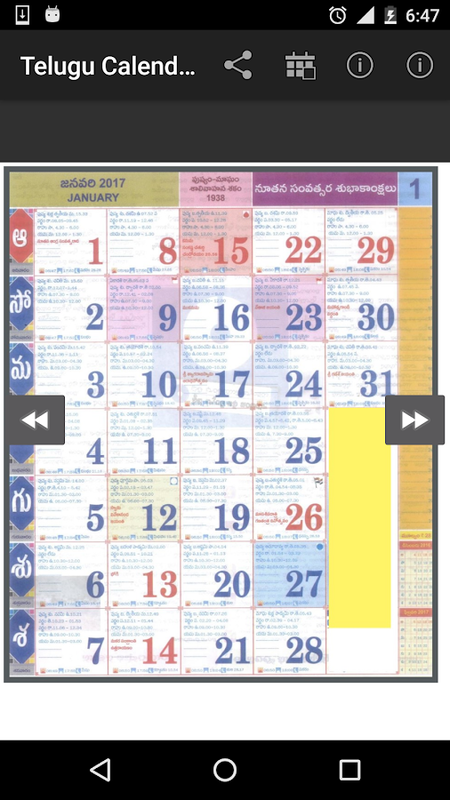 No problem, if you speak English, Hindi, Marathi,Telugu, Tamil, Kannada, Gujarati then we have the same high qualityCalendar for FREE in all these languages, just for you. And if youlike the app, please encourage us by giving us your feedback ! Wevalue your feedback and would love to hear from you ! **New Year 2019 Horoscope ** Available Now Nithra ‘Tamil Calendar2019’: Top rated No. 1 app in Tamil with 15lakhs+ happy users Weare happy to release our free Nithra Tamil Calendar 2019 offlineApp. Now 'Tamil Calendar 2019' has been entirely updated with allthe information like 2019 Calendar, Rasipalan, Holidays, Festivals,Subha Muhurtham etc., ‘2019 Tamil Calendar’ app is a completelyfree app which is available in offline mode. Users can view thecomplete details of Daily Calendar as well as Monthly Calendar inTamil. Astrology Tamil Calendar 2019 in offline day view, you cansee and share the information like auspicious days, TamilPanchangam 2019, Nalla Neram, Raagukaalam, Yamagandam, Kuligai,Tamil Raasipalan 2019, Thithi, Yogam, Natchathiram, Chandrashtamam,Special Events, Quotes and Birthdays for the day. Further you canview Mel Nokku Naal, Keel Nokku Naal, Sama Nokku Naal in theoffline day view. Offline monthly view displays all the informationfor the particular month like Viratha Dhinankal (Subamuhurtham,Amavasai, Pournami, Pradosham, Karthigai, Ekadasi, Chaturthi,Sasti, Thiruvonam, Sangadahara Chaturthi, Sivarathiri), Festivaldays (Hindu, Muslim, Christian), Holiday details etc., 2019Horoscope App works in all type of Android Devices. ’ 2019 TamilCalendar’ Features: 1. Nithra ‘Tamil Calendar 2019 Offline' appconsist of details for the entire year 2019/365 days with daily andmonth view 2. Jothidar Pathilkal : You can get answers/solutionsfor astrology related questions/problems from Nithra Jothidar 3.You can view and set the user specific template design and colortheme selection 4. List of holidays like Hindu festival days,Christian festival days, Muslim festival days & governmentholidays are available in this Free Nithra Tamil Calendar 2019 App5. Tamil Panchangam 2019, Subamuhurtham days, Fasting days for 2019are shown monthly wise in this offline app 6. You can share all theinformation in this Nithra Tamil Natkatti 2019 app via social media7. Displays the auspicious days, Rahukaalam, Yamakandam, Kulikai,and Rasipalan of the day with sharing option in Tamil CalendarPanchangam app 8. Rasipalan details of ‘Tamil Calendar 2019’ haveDaily, Weekly, Monthly & Yearly Rasipalan 9. Gowri Panchagam,Gowri Nalla Neram and Vasthu Natkal are available in this TamilCalendar 2019 10. To-do list, Reminder options are available tokeep reminding you day-to-day works by adding it into Notes 11.‘Best Tamil Calendar 2019’ options to view the old notificationpost in single click view 12. Tamil Calendar Offline - facilitiesfor notifying 10+ daily notifications on daily basis from differenttopics and can be shared via social media 13. You can get dailyalert about the complete details of the next day and planaccordingly 14. Tamil Calendar 2019 is a user friendly App withfantastic well designed UI 15. Use Tamil Keyboard to search anyinformation inside the Best Tamil Calendar 2019 16. You cancalculate your age through age calculator and can find differencein age between two people through Age difference features 17.Devotional bell Sound and Om Sound features make your mind peacefuland gives the devotional feel Other Features: Jothidar Pathilkal,Parikarankal, Thirumanaporutham (Marriage Matching), KanavuPalankal, Macha Saasthiram, Palli vilum palankal, ManaiadiSasthiram, Kiraka peyarchi palankal, Kakam karaiyum palankal,Ramayanam, Ponniyin Selvan, Mahabharatham, Short Tamil News,Thirukkural, Baby Names in Tamil, Vaazhthukkal, Age Calculator, Agedifference, BMI Calculator, Devotional Bell sound, Om sound , CashTally, Market Rate, Guru Peyarchi Palangal Tamil 2019, Shop Listmaker, Jothida Thedal, Jothida Kelvi Pathikal, JothidaSanthegankal, IFSC Codes, Road Rules. Now Advertisement removefeature available in Nithra 2019 Tamil Horoscope. Nithra TamilCalendar 2020 available shortly. 2020 Calendar Will come with moreupdated features. Sanatan Panchang 2019 (Hindi Calendar) A complete Hindu Calendar Weare now entering the 7th year. With our commitment to reach outthis useful and helpful information to all, we have launched thisapp for Android and kept it FREE for all. In addition, thisPanchang also has the following features which are unique 1. Alldetails of tithis (Indian Calendar system. Both Amavasyant andPournimant panchang systems have been incorporated) 2. Images ofDeities - High resolution images of Hindu Gods and Goddesses foreach month. 3. Compiled short notes and articles on Hinduism(Sanatan Dharma) 4. Free articles for the patriotic Indian in you5. Included Indian state-wise annual public holidays 6. Informationfor the Spiritually curious people… and much more ! Like an articleor date from the Hindi Panchang ? Now you can also share thisinformation with your family and friends on Facebook, WhatsApp,Twitter, Email etc. ! Would you rather have the Sanatan Panchang inyour own language ? No problem, if you speak English, Hindi,Marathi, Telugu, Tamil, Kannada, Gujarati then we have the samehigh quality Panchang for FREE in all these languages, just foryou. And if you like the app, please encourage us by giving us yourfeedback ! We value your feedback and would love to hear from you ! రోజువారీ జాతక ఫలితాలు, తెలుగు జాతకం, వధూవర గుణమేళనం,సంఖ్యాశాస్త్రం, రాశిఫలములు, పంచాంగం మరియు జ్యోతిష పాఠాలుDaily Rashibhavishya, horoscope, zodiac, raahu kalam, festivals, RasiPhalaluJust click on the zodiac sign and get daily astrology inteluguShare, sms/mms the details.